We, the Kieffer family, can look back on over 100 years as a shipping company. At the beginning of the 20th century, the Kieffer family rowed their first boats up the Moselle, from Remich to Bech-Kleinmacher, and floated back to their starting point on the river current. 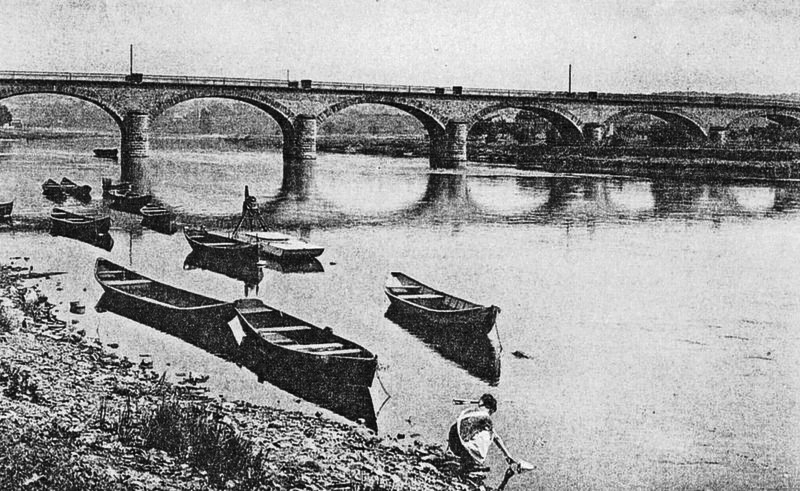 This marked the start of passenger traffic on the Moselle in Luxembourg. After World War II, the first motorised ships appeared, followed swiftly by proper passenger ships, with covered decks and windows. There were two small competing companies in Remich, both called Kieffer. Since 2004 we, the siblings Sylvie and Dany Kieffer, have been running the company. In the summer season the company employs more than 30 people. Our grandfather, Edmond Kieffer, was the captain of the “Princess Marie-Astrid”, for a passenger shipping company founded in 1966. He sailed this ship until his retirement. 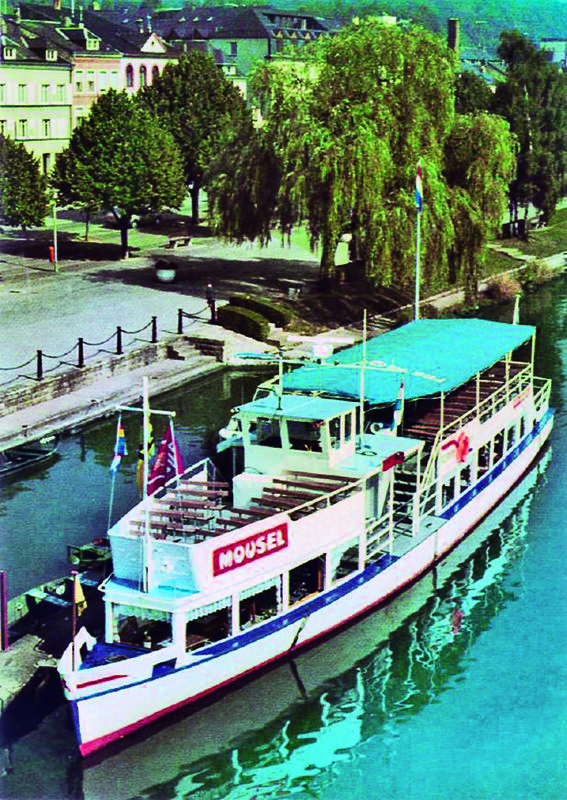 Our parents, Robert Kieffer and Giovanna Kieffer Chiarini, acquired the small passenger ship, the “Mousel” in 1984. This was the start of a new era in Remich, the Pearl of the Moselle. 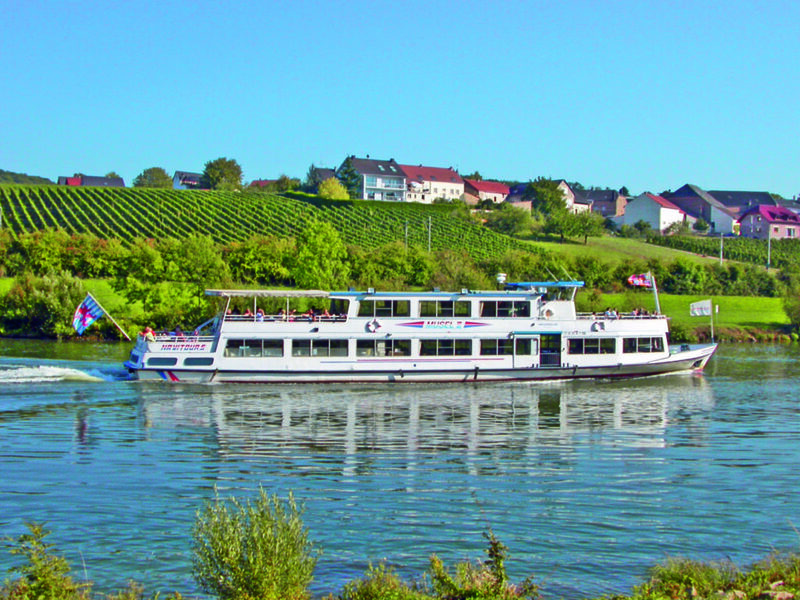 Tourism on the Moselle was booming and other passenger ships soon followed, leading to the founding of Navitours s.à.r.l. and the purchase of the “Musel II” in 1989. 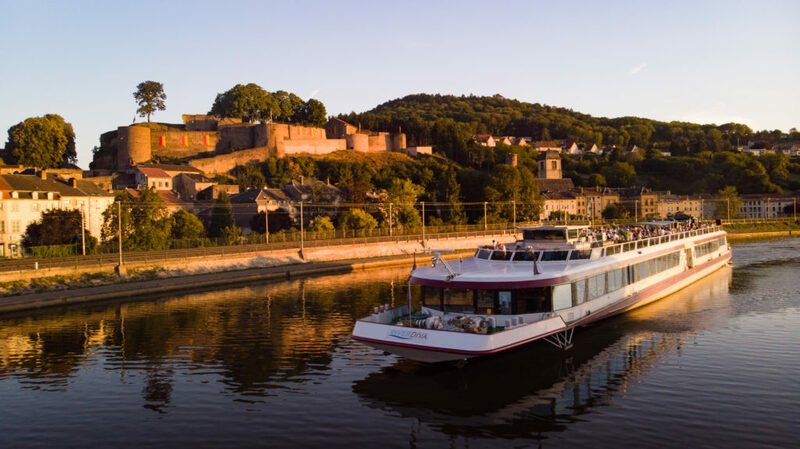 The very next year the chance arose to buy back the fully refurbished “Princess Marie-Astrid”, which returned to the Moselle under a new flag and with a new name – the “Musel III”. 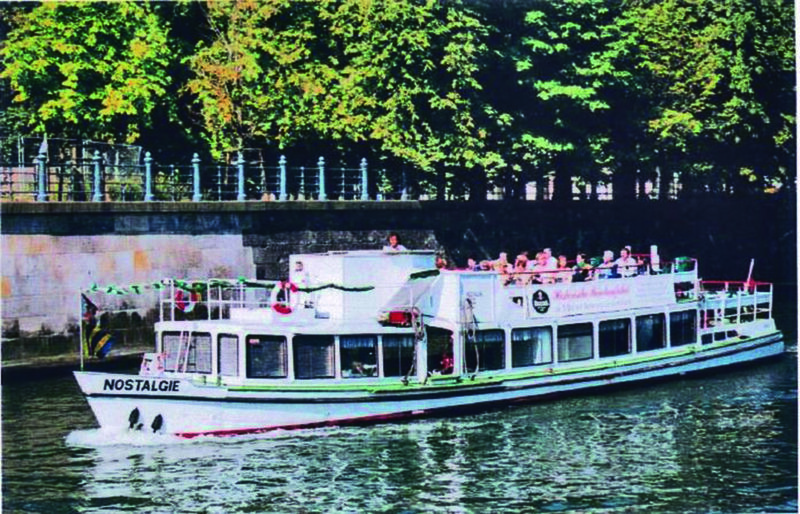 In 1993 the smaller passenger ship, the “Musel Nostalgie”, was added to the fleet. Following the handover to the new generation in 2004, Navitours bought the state of the art passenger ship the “Roude Léiw” in Holland. The very name, coupled with the amenities offered by this dream ship, was a guarantee for success. In 2009, the bridge that crosses the border between Remich (L) and Nennig (D) was due for renovation. Navitours submitted a bid and was awarded a subsidy to provide a ferry service, whereupon we bought a ferry. This was a new direction for us. During the six months of renovation work, we transported more than 165,000 passengers and over 14,000 bicycles across the Moselle. The Ministry took note of these figures and decided to increase investment in cycle paths. In 2009, Navitours acquired the passenger ship the “Mosa”. 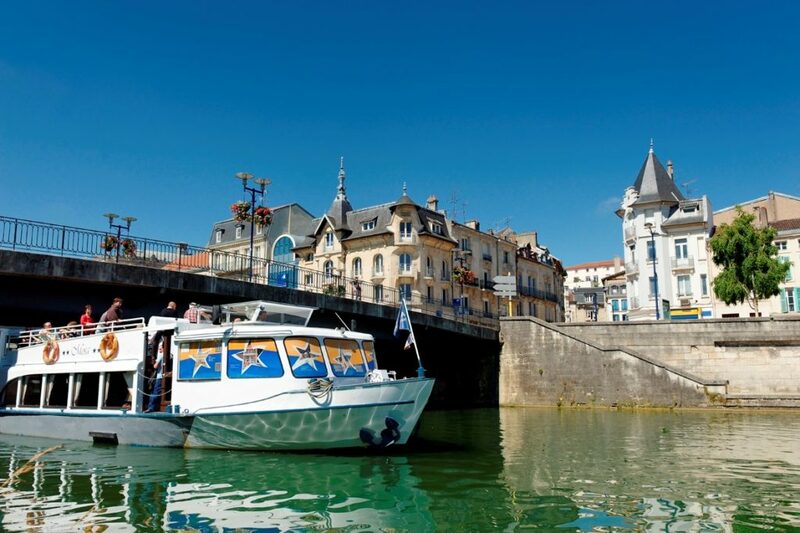 This is a small ship which is based in Verdun (F) and is chartered by Fluviatours. 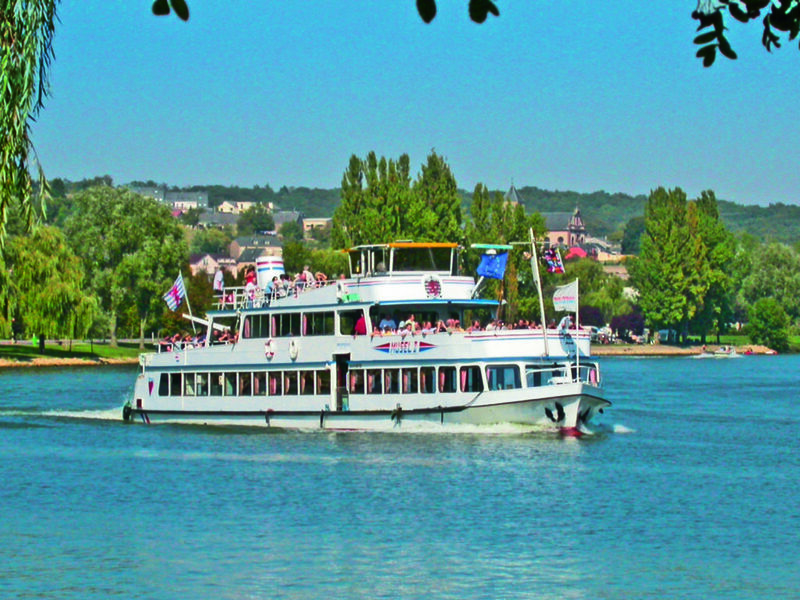 From Verdun, the “Mosa” is used for tours and gourmet cruises on the Meuse. 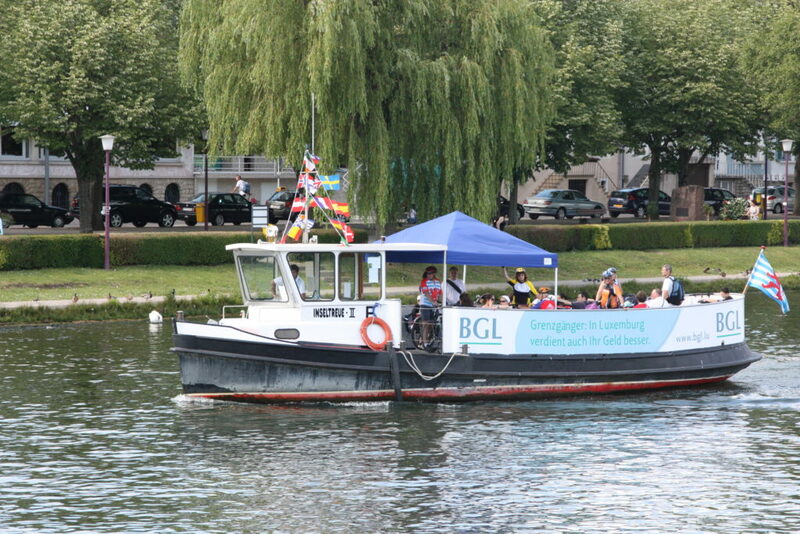 In 2012, we bought the events ship “RiverDiva”, which had previously operated on the Wannsee in Berlin. 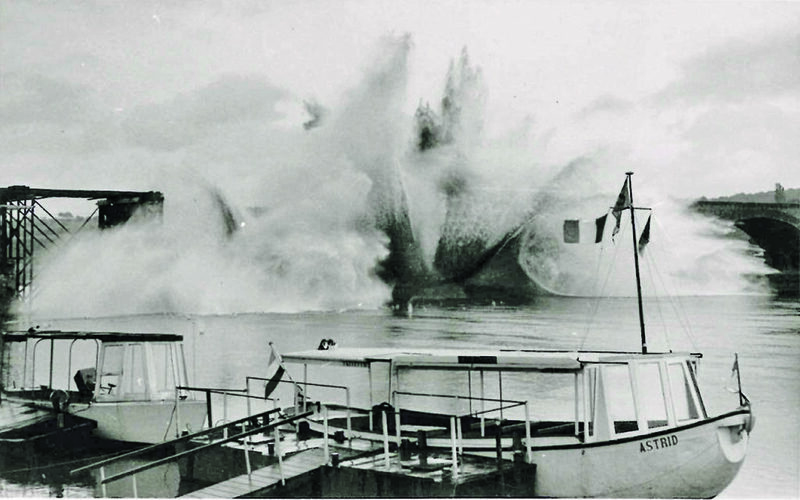 The voyage from Berlin was a major challenge as we had to lower the ship by more than 50 cm in order to be able to pass under the bridges. At 82 m long and around 12 m wide, the “RiverDiva” is truly a ship of superlatives, capable of hosting events for up to 600 guests, either in the salon or on deck. 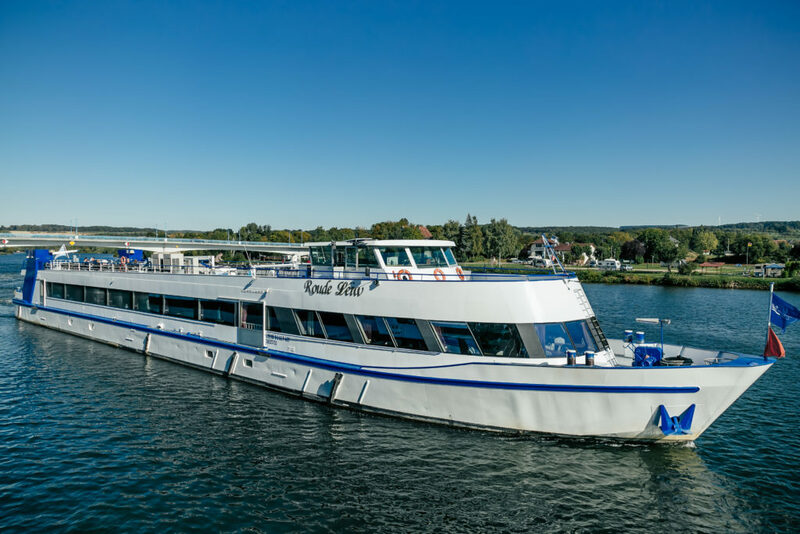 Many well-known events, such as White Night, SundayVibes, motor shows, weddings etc., are held on the “RiverDiva”, but it is also possible to enjoy a relaxing Sunday gourmet cruise on this splendid ship. 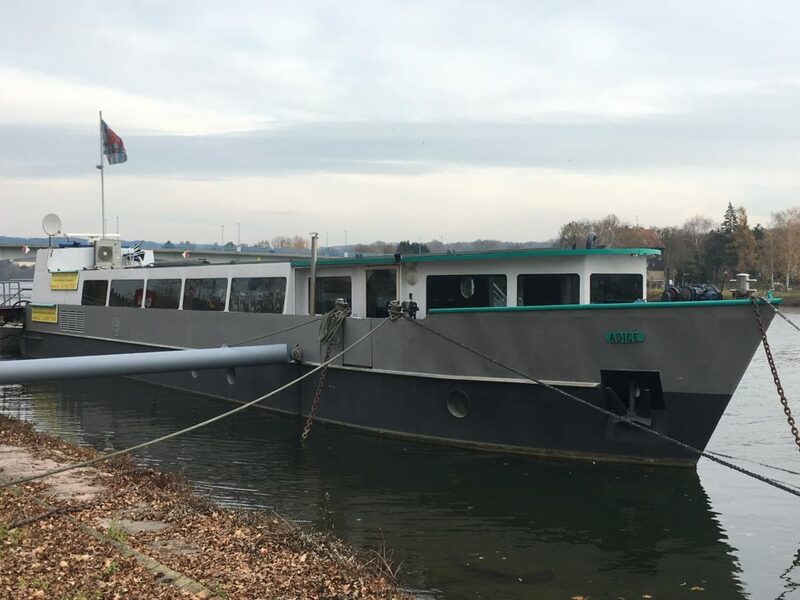 In 2014, we acquired an FGTS (freight and transportation vessel) from Metz, which we use for our office premises and as a pontoon. We decided to name this ship the Adige. Before our parents, Robert and Giovanna Kieffer, moved into passenger shipping, they were involved with freight shipping, and their canal boat was named the “Adige”. In 2015, we acquired our most recent ship, the “MuselSchëff”. We wanted a ship for our day cruises and for events for smaller groups. Again, we deliberately chose a name from our history: this was the name with which it all began. Tourism is a constantly changing industry, so it is important that we move with the times. We are looking forward to what the future will bring. Our goal is to make your trip unforgettable and we do our best for that. From the hostess, the service staff to the cook, the animation manager to the captain, we accompany you with kindness and excellence in everything we do. 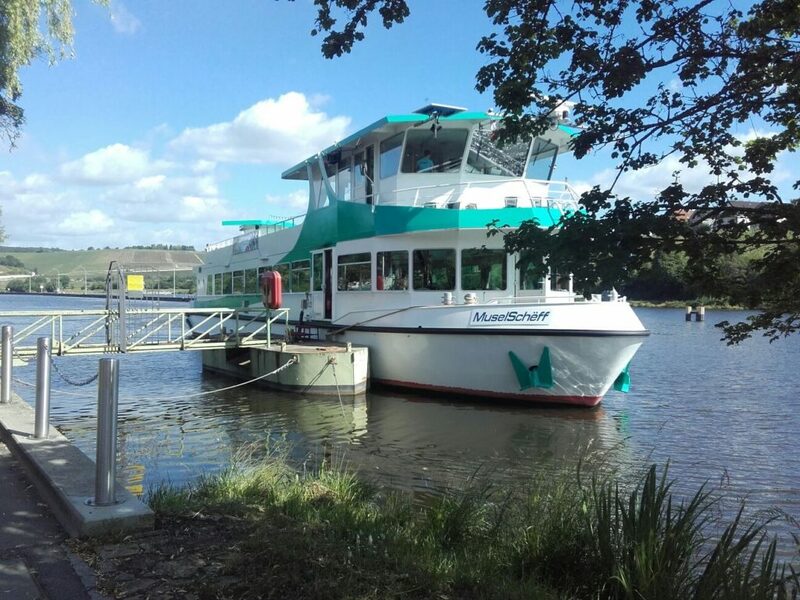 This is what characterizes the name of Navitours on the Moselle. And more than 30 years of success give us reason. Dany Kieffer (Manager), Sylvie Kieffer (Administration) and Franck Pilarek (chef cuisinier).